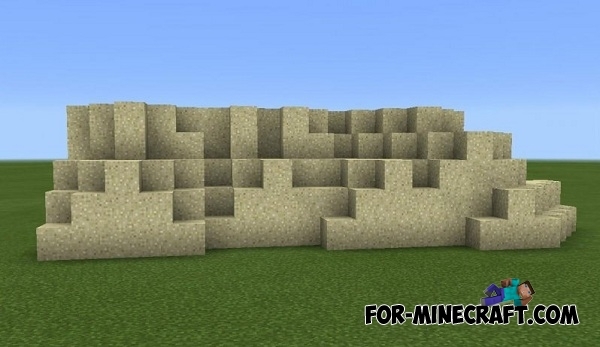 This massive mod adds the ability to edit the terrain of the world as you want. Its necessary your imagination to work of WE Terra! WARNING! If you have a crash - u are not correctly entered the command or did something wrong. Carefully read and follow instructions. First, take into the hands any item. For example, take a stick, a rod, a shears, etc. Now the item in your hands should be turned into a special tool with which we will create. Type this command: / sphere tool. Just imagine that your stick or any other object has turned into paintbrush. Use the command: / paint tool. Next you need to specify the block ID, using which you will paint: / paint %. (Example: / paint 12%100). 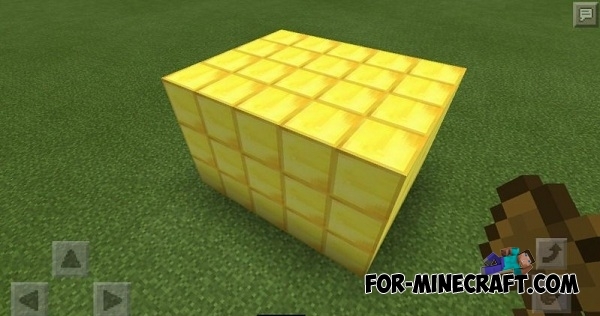 Now you need to tap on sphere and some of the blocks will be replaced by stone. 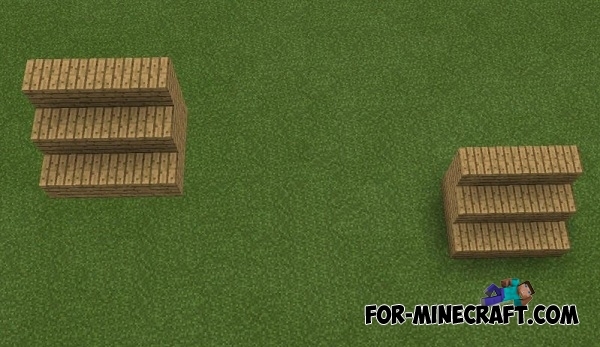 The usefulness of this feature - you will not have to constantly destroy the necessary blocks. / Paint limit - sets the limit for the paint height. / Paint size - reduces or increases the paint radius. / Mask - change the color of the block, ignoring the other blocks. The following tools will make your terrain more natural and realistic. Now we will try to create a small hill. 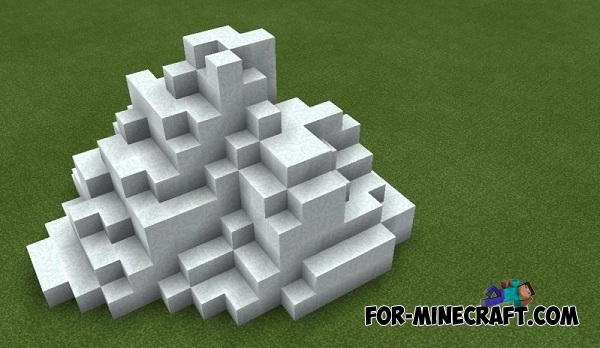 The first thing to do - choose the necessary block from which will consist the mountain. Open the chat and write: / b block. For example, we take a snow block - id 80. 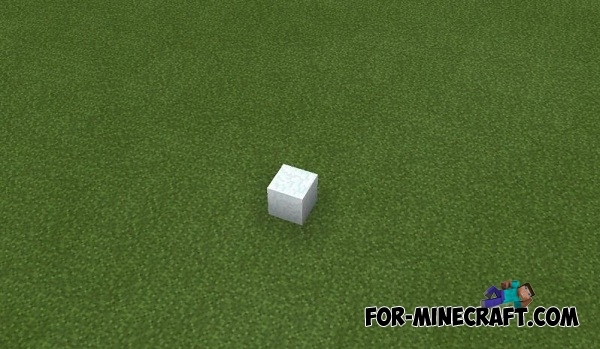 Type in chat: / b melt and place the snow block in anywhere. 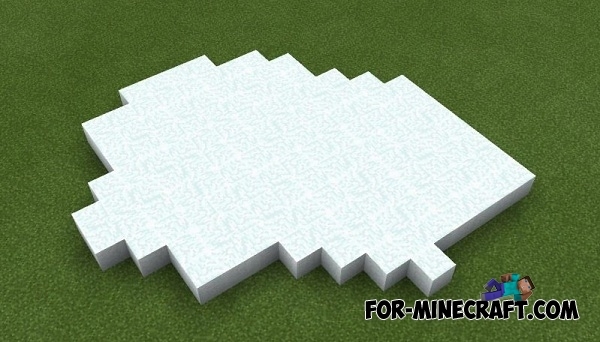 Now start to tap around of snow block and you have some kind of base for the creation the mountains. Use the command: / b lift and tap on your "base". 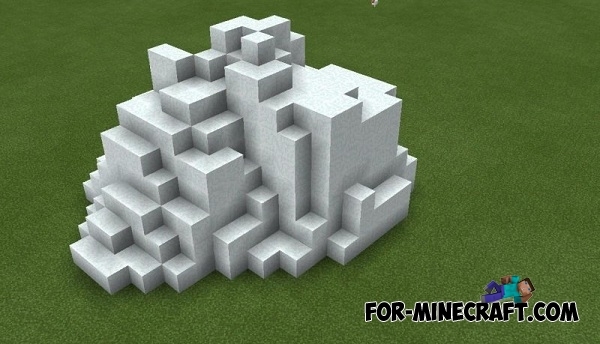 Blocks will start to go up and formed a small rough mountain. Use the command: / b smooth. Click on an uneven parts of your mountain to make it more natural. 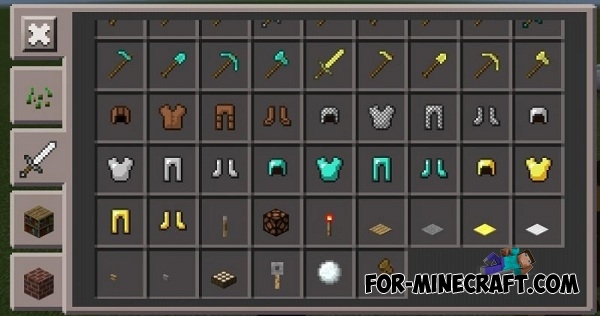 This tool looks like an ordinary wooden ax but it is located at the bottom of the inventory (weapon tab). Take the ax in your hands and build wooden stair. 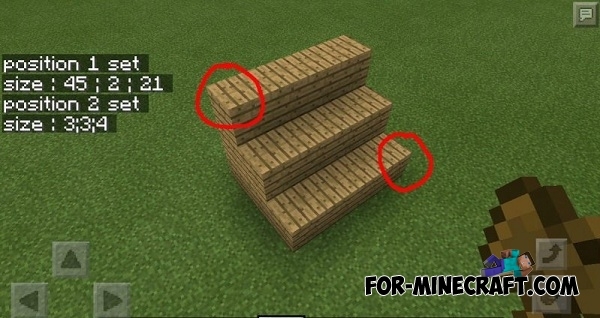 You must select an area to copy the created stair (diagonally across the lower and upper block!). Hold the lower block using ax to select the first position. Now, tap on the upper block 2 to select the second position. / Paste | paste the copied structure. / Paste - a | paste the copied structure without any air blocks. / Paste a | paste the copied structure with air blocks. 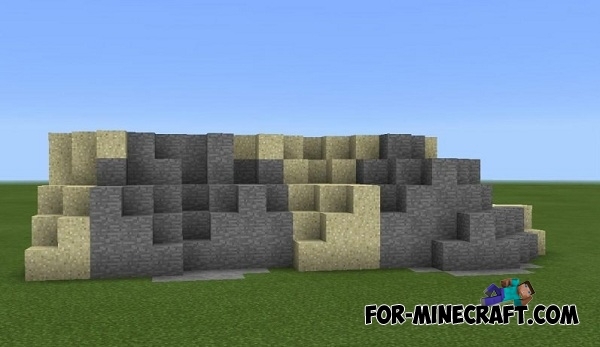 And also, you can transform this pile of dirt into gold (id 41) with the help of the ax. Just select an area and use the command: / set. / id - shows the block ID in the player's hand. / idblock - shows the block ID, on which the player is looking. / Undo - back the previous action. / Redo - repeats the previous action. 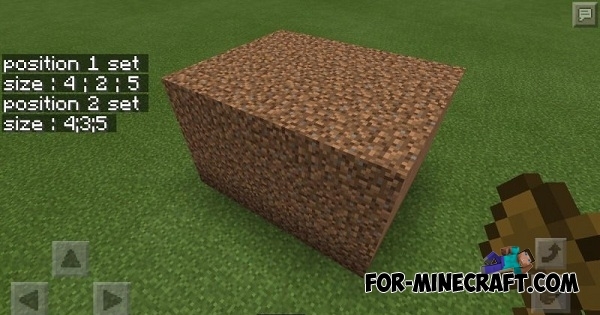 If you enter the command: / superpickaxe, then you will be using a single hand motion to delete any block. To disable this feature (// superpickaxe).